It’s always the same when Google rolls out another update to its primary search algorithm. Seemingly out of nowhere, any number of businesses take a hit, fall to lower positions in the rankings and suffer the consequences accordingly. And while all this is going on, they take to the web to express their surprise and general astonishment of what’s taken place. If recent history has taught us anything, the one thing Google’s updates are not is surprising. 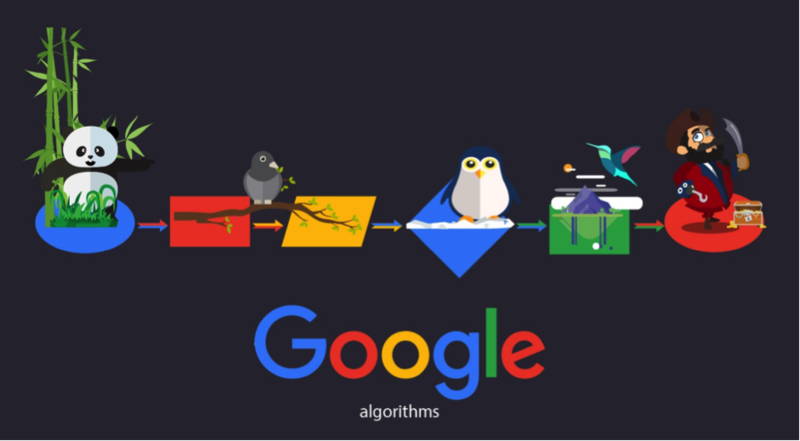 Major updates may roll out infrequently, but Google tweaks and refines its primary search algorithm more than 200 times per year. That’s around four times per week – hardly the kind of thing that qualifies as an unexpected occurrence. Still, updates go live, rankings tumble and the blame-game begins. A couple of weeks ago, the same thing happened once again. 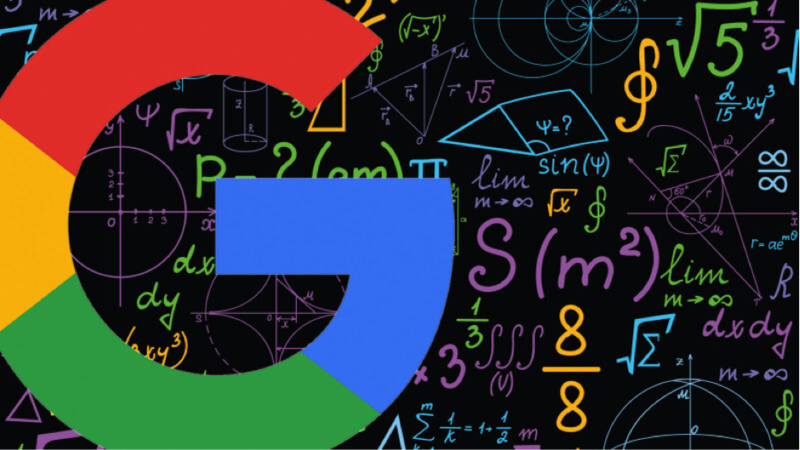 Google rolled out a moderate algorithm update, which saw countless businesses suddenly (and in some cases dramatically) falling down the rankings. The whole thing caused such incredible commentary online that Google went completely against its usual standards to respond via Twitter. “Each day, Google usually releases one or more changes designed to improve our results. Some are focused around specific improvements,” read the post. As usual, anyone on the lookout for answers or solutions wasn’t going to find them from Google. Nevertheless, their semi-useful post did at least reaffirm one very important message more business owners could do with assimilating. That being, the difference between punishment and promotion. If you take a hit in the rankings, you automatically think you’re in Google’s bad book. You assume something you’ve done or are doing has got you in trouble. In reality, it’s closer to the opposite. Other sites in your niche have simply been rewarded for the kinds of qualities Google looks for. They’ve climbed the rankings, resulting in your fall. Hence, there’s technically no way of quickly and effectively reversing the damage done, as Google went on to explain. “There’s no “fix” for pages that may perform less well other than to remain focused on building great content,” the post continued. In a nutshell therefore, you’re not necessarily doing anything wrong, but perhaps aren’t doing enough of what’s considered right. Theoretically, remaining one step ahead of Google with your SEO strategy is far from impossible. It can actually be relatively simple, with the right approach and assistance where needed. It’s worth remembering that Google exists solely to point people in the direction of whatever they’re looking for. If your site really is the best in your niche, you’ll do just fine. SEO isn’t something that you should need to hack away at relentlessly as something of a bolt-on responsibility. It should come naturally – the value and appeal of your website being noted and rewarded by Google. Major search engines like Google aren’t in the habit of keeping their expectations and requirements secret. They even publish detailed guidelines for webmasters and promoters. Still, it’s up to you whether or not you heed them. No theories, no predictions, no guesswork – Google has told us what it expects and how to deliver it. So if looking to stay ahead of Google’s next and every move, it’s simply a case of focusing on their priorities. Over the past couple of years in particular, Google couldn’t have made its mobile-focused intentions any clearer. They even announced their very first mobile-first indexation system. Mobile-friendly is no longer the kind of standard you need to be striving for. Instead, it’s a case of delivering comprehensive mobile excellence for every single web user. Irrespective of their chosen device and platform, they should be treated to the same flawless experience. Google has no intention of ‘punishing’ sites that fail to meet the mark as such. Instead, those who excel in the provision of outstanding mobile experiences will see their rankings benefit from a significant boost. If you’d prefer to be on the positive side of the fence, you know what to do. And given the certainty of mobile’s on-going rise, this is one core SEO focus that has guaranteed long-term value. The average web user is becoming increasingly specific and demanding. As a result, the day of the vague and broad search term has come and gone. You no longer search for ‘Pizza Delivery’, you search for ‘Cheap Pizza Delivery in Chelmsford’ or ‘What’s the Best Pizza Delivery Place in Gateshead?’. In doing so, you’re provided with far more precise results in accordance with your needs. Not only this, but the growing popularity of voice search and digital assistants in general is having a marked impact on the prevalence and importance of long-tail keywords. Demonstrating no intention of missing the mark with the latest shift, Google is showing huge preference to sites and businesses that focus on longer search terms and phrases. If looking for a sure-fire way of staying ahead of the curve with the keywords you use, it’s time to start thinking longer. Furthering the point outlined above, the importance of local SEO is growing at record-pace. Once again, it’s a case of web users refining their searches with pinpoint precision to find whatever they need, ideally as close to home as possible. Or at least, wherever they happen to be at the time. If you’re in Glasgow and carrying out a search for a nearby sports store, Google really doesn’t want to direct you to the website of a store based in Plymouth. If your business targets a local audience of any kind, local SEO really is the way to go. Going local gives you the opportunity to experiment with long-tail keywords of enormous value and relevance. All while ticking all the right boxes in the eyes of Google. You can bet your last penny that as Google continues to refine its search algorithm, local SEO’s value will continue to grow. An investment which therefore guarantees a solid and on-going ROI for your business. In this instance, optimisation means considering every aspect of the user-experience and user-interface, in order to make both as flawless as possible. Gorgeous presentation, lighting-fast loading times, seamless navigation, complete simplicity and intuitiveness – all requiring equal focus and investment. Once again, Google is looking to point web users the way of the very best websites out there. This extends to the general performance of your site, as well as its content and purpose. What’s more, a stellar experience is essential for both boosting your image and nurturing loyalty among your target audience members. Offering a solid experience isn’t enough – you need to aim to wow every customer without exception. Anyone can set up an online business. Building and launching an online store in particular is a walk in the park these days. By contrast, building a successfulonline business is something else entirely. The difference typically lying in the extent to which the site in question evolves into an all-round resource of authority in its respective niche. The greater the extent to which you go above and beyond the basics, the more you can expect Google and Co. to take note and respond accordingly. Say you’re in the business of selling sports gear online. Listing and selling products is one thing, but how about providing an archive of resources for sports fans? Tips and tricks to improve their performance, entertaining video clips, the latest news and updates from around the world – all examples of the kind of content that builds your site into a resource of value. Web users show preference to sites that go the extra mile…and so does Google. You can say what you like about Google, but you can’t say their actions come as even the slightest surprise. If anything, the on-going algorithm updates rolled out by Google really are as predictable as it gets. Rest on your laurels and you really can’t expect a great deal of sympathy, if and when you take a tumble. By contrast, partner with a quality SEO and you stand every chance of remaining one step ahead of whatever Google throws your way. You know what they’re looking for – you know their priorities going forwards. It’s simply a case of meeting them in advance, rather than giving your competitors the opportunity to push you down the SERP rankings.